There are a number of home improvements you can make before you list it for sale that will increase the overall value. What’s important too though, is to make an impact on the visual appeal. No matter how much you’ve increased the value, it’s still up to the buyer to feel it’s worth it to them to offer what you’re asking. 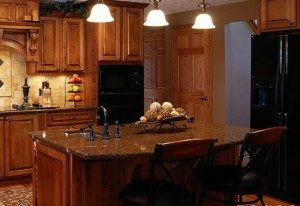 Use the following tips as a guide to making home improvements that are worthwhile before you sell. Dress up the outside — The first impression someone will have of your home is the exterior. 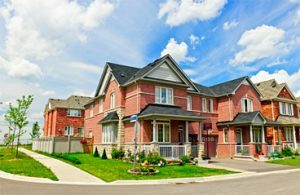 If your siding is damaged, your mailbox is scratched, bent, or broken, or your landscaping hasn’t been maintained, you run the risk of sending buyers the other way before ever stepping foot inside. Repair minor issues — Things like a dripping faucet, loose knobs, dirty walls, and broken doorknobs are things that turn buyers off. Instead, complete these easy tasks yourself so buyers will notice your attention to detail. Refresh outdated rooms — Breathe new life into outdated rooms by making a few simple changes. Replace that “seen better days” light fixture in your bathroom, refresh your kitchen by getting new seating (after-all, it will be coming to your new house anyway, why not impress buyers with your updates)! So what’s the unexpected way to improve the value of your home that I mentioned in the title? Well it’s a combination of the above as well as just showing your home at its best. It may not be worthwhile to replace your entire heating and cooling system, but the small efforts on your part could be just the difference between your house and the competition down the street. I mentioned refreshing your kitchen with new seating. This could include the entire dining set, window seating, or even just replacing the chairs with barstools. 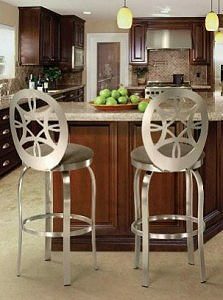 You’d be surprised just how much of an impact the right barstool can make in your space!